Our experienced staff can help you with maintaining and repairing all types of garage doors, whether of steel or wood construction. 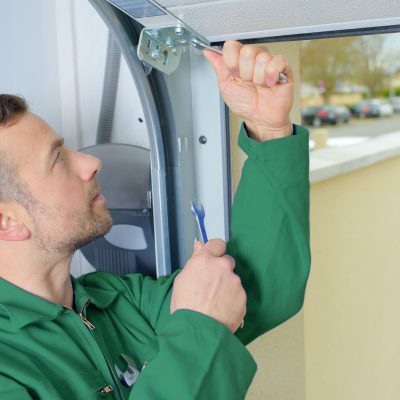 Yearly garage door maintenance keeps it working at its best and can prevent costly repairs. It’s a good idea to give your garage door a tune up at least once a year. Cleaning the tracks and checking out the operator helps prevent costly repairs, especially during the cold months when the track lubricants can get sticky and gum up the track performance. This can cause your garage door to sit unevenly or make more noise during operation. Other types of maintenance include lubrication of the tracks, balance testing, and visual inspections of fasteners and moving parts. Carolina Garage Door Is Your Broken Spring Specialist! Whether it’s broken springs, squeaky doors, garage door operators, or even lightning damage, we can help get you back on track. If your springs are old they can produce more noise and may even be less safe. 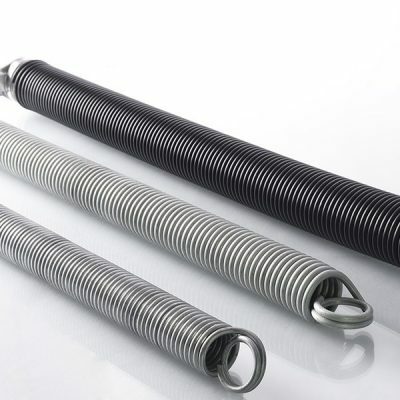 We use counter-balance torsion springs for maximum safety and quietness in operation. If you haven’t updated your springs in awhile, it doesn’t hurt to have a technician examine them to see if an upgrade is in order. Lightning can cause all sorts of electrical issues with your home, including the garage door operator. It’s not unusual after a nearby lightning strike for your operator to stop working. If this happens you may need to replace the operator, but it’s recommended that you have a professional technician examine the operator after this type of event both for safety and to determine if it can be repaired. Call us today at 336-768-2218 to schedule a garage door maintenance or service appointment!